Everyone loves talking about second screen experiences. Too bad they usually have as much to do with the TV content as they do with what you ate for breakfast. 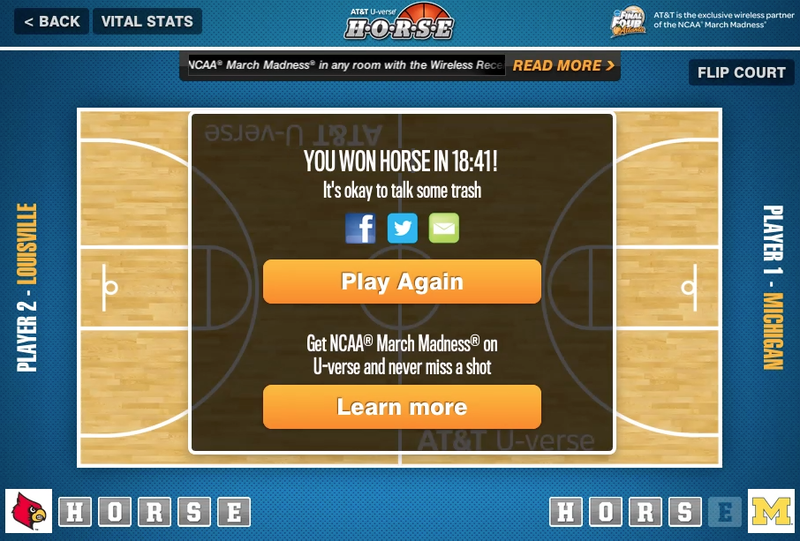 U-verse HORSE is a game we made for March Madness that used actual game data to power the game. You simply selected a spot on the court just like the classic schoolyard game of H-O-R-S-E. 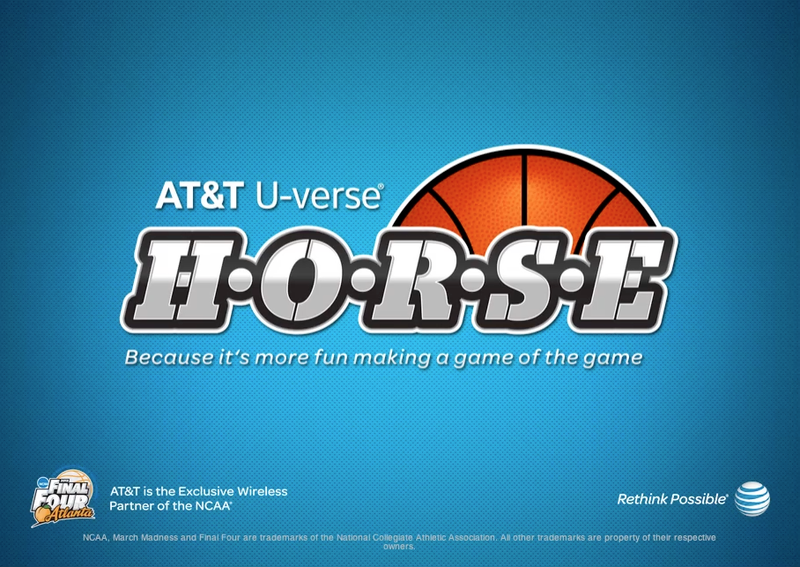 If the player on the actual live game took a shot from that spot within the designated time and made it, the other HORSE opponent would have to match it or they'd get a letter. So simple and fun, so second screen. Oh and the song we made for this halftime show could give any 80's hair band a run for their money.